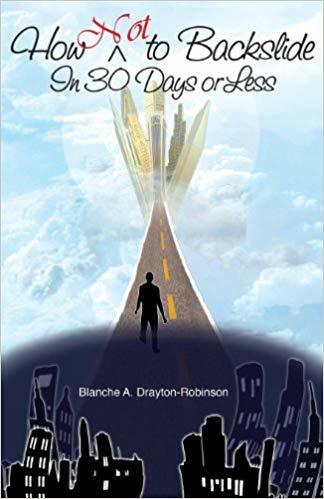 Pastoral worker and author, Blanche A. Drayton-Robinson, has written an inspiring book entitled “How Not to Backslide in 30 Days or Less,” dedicated to encouraging new followers of Christ to be steadfast in their faith. Blanche A. Drayton-Robinson expresses her concern about newly converted Christians who go back to their pre-converted ways while they are in the first stages of their journey in the Christian faith. “It was in prayer, after seeing so many souls giving up and returning to their former lifestyle; with much contrition, the Spirit of God placed it upon my heart to put together information to help them navigate their Christian transformation, which ended up in me writing this book,” the author says when asked about the source of her inspiration in her book. In her desire to help the newcomers and the returnees, the author wrote her first book, “How Not to Backslide in 30 Days or Less.” It provides an in-depth understanding of evil and its efforts to make a newly baptized Christian fall back in their own sinful ways. The book also offers a series of steps to counter temptations and develop a stronger relationship with Jesus Christ. “How Not to Backslide in 30 Days or Less” was displayed at the Frankfurt International Book Fair from October 11 to 15, 2017. The event is an annual gathering of publishers, exhibitors, and lovers of the written word from around the globe. Blanche A. Drayton-Robinson is a pastoral worker at God’s For You Outreach in Buffalo, New York. She currently lives in Dacula, Georgia.